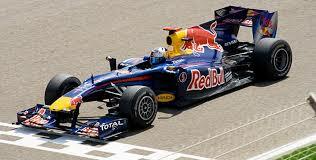 Most people have heard of Formula One racing, with its pointy-nosed, open-wheeled race cars. There's also a Formula Two and Formula Three series with similar cars but different rules and regulations. And now, there's Formula E -- with the same pointy nose, the same open-wheel design and a completely different power source. The "E" is obviously for "electric," and these all-electric cars will be tearing up the street tracks beginning in 2014. According to Formula E, however, the "E" also stands for "exciting, efficiency, environment, and last but not least, a new era." It can also, they say, stand for "entertainment." I think we, the fans, will be the judge of that, thank you very much. We need to start with just a teensy bit of history to bring everyone up to speed: In 2008, French designer Frederic Vasseur and his company Formulec unveiled the first electric Formula-style race car. Formula E Holdings then bought the technology from Formulec, and Vasseur founded Spark Racing Technology (SRT), a consortium charged with designing the race cars for the series. The group includes none other than the legendary racecar builders from McLaren. You may know them for their Formula One Vodafone McLaren Mercedes, or you may know the names of some of the many drivers to grace McLaren race seats over the years, like Jensen Button, Lewis Hamilton, Juan Pablo Montoya or even racing legend Ayrton Senna. The first to sign up was Drayson Racing Technologies. They've already announced they'll be using the SRT cars provided by FEH for the 2014 season; however, they're developing their own race car for the 2015 season in conjunction with another racing powerhouse, Lola. In fact, a prototype of their joint effort has already set an electric record at the 2012 Goodwood Festival of Speed in the United Kingdom. You know what's really weird about electric races? They're quiet. Chirping-crickets quiet. I've been to lots of electric-powered races, oddly enough. I've been to drag races and time trials. I've seen professionally built team cars and home-built conversions take to the track, too. I've seen record-setting motorcycles and puttering electrical embarrassments, and they're all (every one of them) silent but for the sound of tires on the pavement. Sometimes there's a whirr -- if you're lucky. So a whole field of 10 Formula E cars circling the track at the same time is going to require some adjustment on the part of the spectators. I guess we're all going to have to do our part to make some noise, because the race cars just ain't gonna do it for us this time. Get the best deals on auto parts wherever you are in the world. Because Auto Parts Warehouse now provides International Shipping! Thanks for visiting Singhvi Auto Blog. Watermark theme. Theme images by bopshops. Powered by Blogger.